Many resort for many reasons to create more than one account on the social networking, whether Facebook or WhatsApp or Twitter or other such social networks. Causing the large number of accounts confusing especially to their owners when used on smartphones, as applications of social networking sites do not allow to run only one copy on the phone. Therefore, the user has to if he wants to use his account to the other logs off and enter the other account each time. But there is a solution to run more than one copy of any application the user needs and on the same phone and without having to log out from the other account. In the sense that the user who owns two or more accounts on Facebook to run more than one copy of the application and all of these copies can a different account. It is not limited to Facebook, it can be of practical application with WhatsApp or Tealegram or Facebook Messenger or Twitter and many other applications. This process is done through an application called Parallel Space-Multi Accounts. Enough application download from the Google Store or Apple store, by phone user, and then run it. After that application of user requests to add applications that would like to operate additional copies and then press the Add button to Parallel Space as is evident in the picture. In the following window applications selected by the user appear. Here you can create a shortcut from the new version of the application via the constant pressure on the icon, then click on Create Shortcut as is evident in the picture. 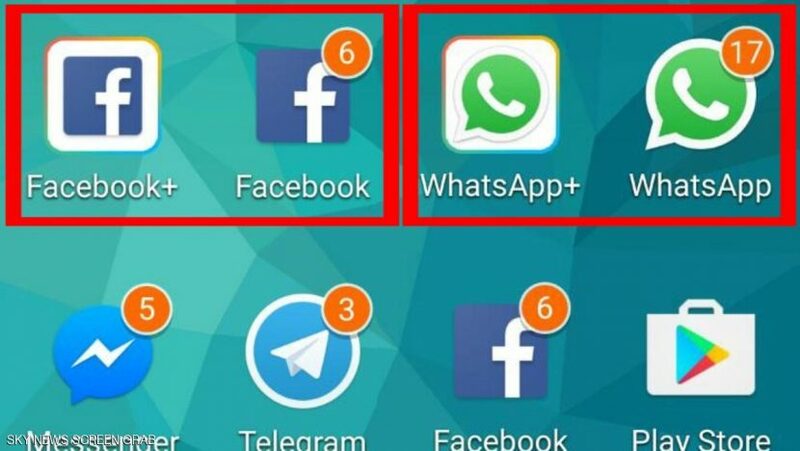 After you create a shortcut on the home page of the phone, the user is enough pressure on the application icon and log in to the other account, whether in WhatsApp or Facebook or others. Finally, it must be noted that the application of Parallel Space-Multi Accounts is available on your Android with a free Google Play store, but it is not for the shop’s father’s company Apple Store and sells for about $ 6.